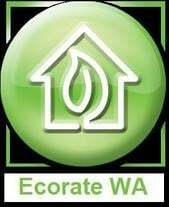 Ecorate WA welcome any comments and/or feedback regarding any or all of our services from our Customers. This forms part of our ongoing management policy with a view to continually maintaining our high level of service quality protocols. Ecorate's moderator reserves the right to manage or remove comments in accordance with our website rules. Fast turn around, no red tape, very happy indeed. My sincere thanks for the assessment and also for the very fast response time, It certainly helps with keeping the ball rolling on the project. Cheers guys for helping me out with my energy assessment, exactly as your website mentions! Thank you very much. Really appreciate your quick response for us, especially given this was all done so long ago! Thankyou for the service. Will recommend. Thanks to the team at EcorateWA for helping us with the design process of our new house. My partner and I where very impressed with the patience you showed (Yes there were a lot of changes but at no point did it seem like a problem for you) We wanted a sustainable, energy efficient house and with your help and knowledge we achieved that! Will recommend to any family or friends that will be in a similar position. Don and his team have recently assessed our multi unit developments, the price and turn around time was second to none, thus the reason why i thought id leave a Testimonial. Highly recommend! Thanks once again! Thanks so much for the ridiculously fast turn around - greatly appreciated! Don and his team are highly experienced and recommended for energy efficiency and sustainable review of structural plans. He is easily approachable to discuss your individual needs. Many thanks for the documents, I am very impressed by your prompt service and what you say on the website is accurate. Thank you very much for the excellent advice & quick completion of our first display home, the build cost would have been much higher & the final rating much lower if not for your recommendations. Our local Council required an Energy efficiency report to go with building application and Don was super efficient and helped us out amazingly. Would recommend for his service alone and will use again in the future, should we need him. This is definitely the way to do business! Thankyou everyone at Ecorate (we are sending this to the few new contractors that charged so much less & were the easiest to deal with compared to the other suppliers in WA). We have just completed both projects (the double storey home & the 12 unit site), both came in well under budget by incorporating your recomendations, thanks. Thank you for the support and help you gave us to obtain our Building Permit to relocate an old house to our property, work is actually starting today. Hi, thankyou for getting our job done so quickly it is really appreciated. Thanks very much for your quick turn around. thanks for all the attachments. Would you be able to keep all our data in a not-quite finished file? I'd like to revisit the rating maybe in a couple years, that's assuming you'd work with me again of course! Anyway, thanks for making it all so easy and being so relaxed to work with. You seem to have a really good balance of doing what you say you'll do when you say you'll do it, yet still being approachable and flexible. Thank you for such an amazing service! I rang many people who quoted nearly twice as much and/or double the time to do the Energy Rating on our house. In the end you did even better than you promised and managed to get it done in half the time you quoted. There is no-one more pleasing to deal with than someone like that. Thank you. Found your website on google, got good information and a energy rating at a price that was lower than expected. Thanks very much for your help much appreciated, exactly what we were after.